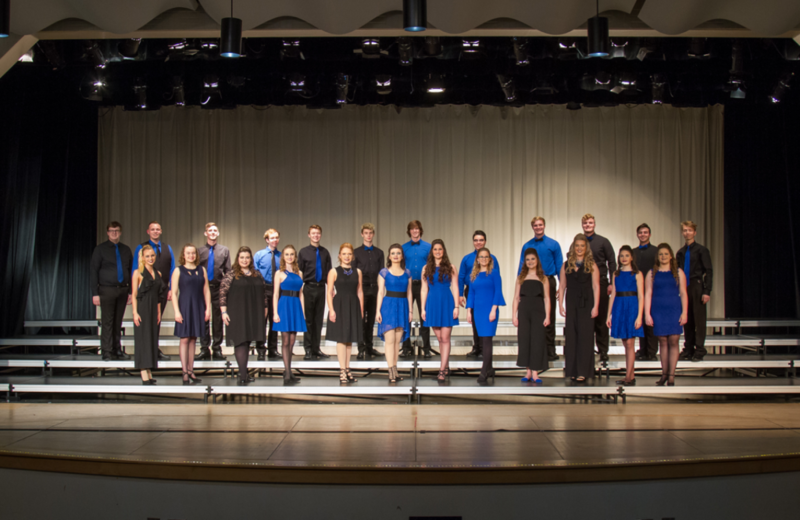 ​Shades of Blue is Whiteland Community High School’s top jazz/concert choir. The group is comprised of 24 singers who pride themselves on singing advanced repertoire spanning all genres, including madrigals, spirituals, modern works, and vocal jazz. Shades of Blue is frequently asked to perform for special functions by community groups, churches, and other organizations in and around the Whiteland/Greenwood area. This year, Shades of Blue was named Grand Champion of the concert choir division at Center Grove’s Best of the Midwest show choir competition. The group also was named State Champion at the ISSMA Vocal Jazz State Contest for the second year in a row. Shades of Blue is directed by Stephen Brandt and Elizabeth James.